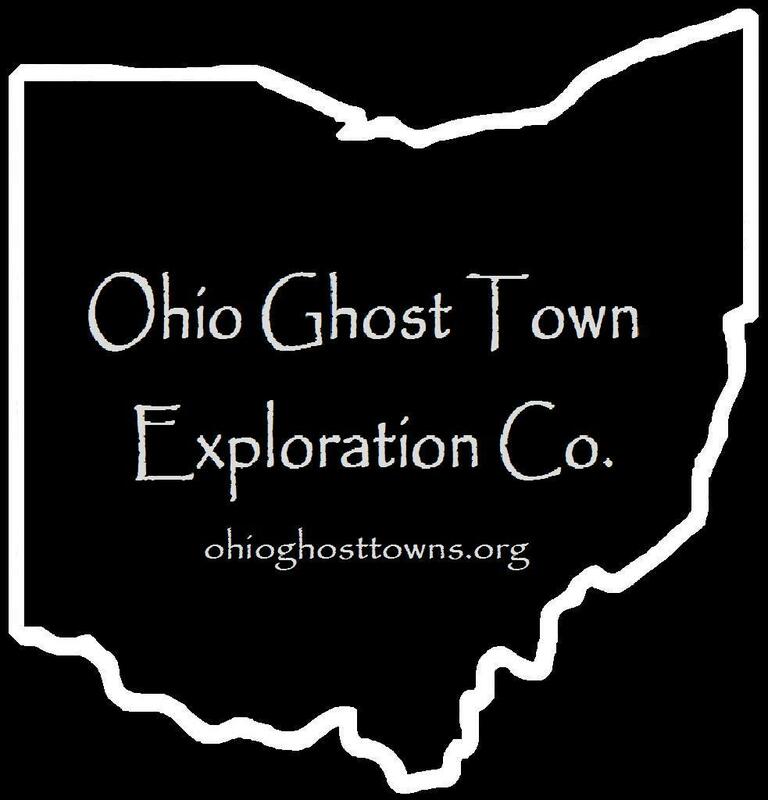 Franklin County – Ohio Ghost Town Exploration Co. Description: Alum Creek had a train station on the Columbus, Sandusky, & Hocking Railroad, later bought by the Big Four (Cleveland, Cincinnati, Columbus & St. Louis Railroad). The creek itself was the site of many early settlements & mills in the county & around Columbus. It was named after the metallic substance that was found in slate slabs on the creek banks. The town’s post office was called Leonard. Description: In the 1880s the post office was on land owned by Newell Mix (1835 – 1889) & Emaline (Deforest) Mix (1838 – 1886). Newell was a justice of the peace in Franklin Township. The town also had a train station on the Cincinnati, Sandusky, & Cleveland Railroad, later bought by the Big Four. Newell & Emaline had a few children & were buried with relatives in Green Lawn Cemetery on Greenlawn Ave. Description: The gravel & sand filled hill rises well above the surrounding landscape & was formed by the Scioto River before dams controlled its size. It was named after the Baker family who owned much of the hill in the mid-late 1800s. The town also had a school on land owned by Henry Obetz (1825 – 1900) from Pennsylvania & Sarah (Hensel) Obetz (1820 – 1901). They were buried with relatives in Green Lawn Cemetery. Description: It was named after the waterway that runs through the area, a tributary of the Scioto River. Description: It was named after the creek & was listed as a town along the Big Four Railroad. Description: Magdalene (Strader) Borror (1767 – 1838) from Virginia was the widow of Revolutionary War veteran Jacob Borror Jr. (1763 – 1804). She moved to Ohio with her 7 children & settled on 400 acres of land given to her by her parents in 1809 – 1811. The family became successful in farming & merchandising & was very influential in Jackson Township for over 100 years. Borrors Corners had a school, several churches, a grocery store, blacksmith shop, & some other small businesses. Magdalene was buried with relatives in Scioto Cemetery. More family ancestors & descendants can be found in Concord Cemetery on Hoover Rd south of SR 665, Grove City Cemetery, & Green Lawn Cemetery. Description: This small village had a school on the south side of Groveport Rd southeast of the intersection. Much of the land around the GPS coordinates was owned by the Kile family. Description: It was named after the Burt family in the county. Description: It was named after a branch of the Caldwell family in the county. Description: Henry & Catherine Clover moved to Ohio from Virginia with their 12 children & originally lived in Ross County. They relocated to Prairie Township in 1813 & Clover Settlement formed around their property with more families moving to the area in the early 1800s. Across from the cemetery on the east side of Alton Darby Creek Rd, the town had a school, Methodist church, & a general store & train station on the north side of the railroad tracks. Clover Settlement faded away in the later 1800s as Alton to the south was expanding & had more modern accommodations. Alton’s train station on the south side of the Pennsylvania Railroad tracks replaced Clover’s station & can be found in the 1872 county atlas. Most of the Clover family was buried in Clover Cemetery & some relatives & descendants were buried in Alton Cemetery between the railroad tracks & US 40. Description: The town was founded by Thomas Deems (1807 – 1880) from Pennsylvania & Mary (Sims) Deems (1807 – 1880) from Muskingum County. They married in 1828, had 6 children, & moved to Franklin County in 1841. Thomas was a farmer & blacksmith. The Deems were buried with relatives in Green Lawn Cemetery. Description: Abraham Doney (1829 – 1900) from Harrison County & Emily Brock (1837 – 1899) from Fairfield County moved to Truro Township in 1865 & had 6 children. They were farmers & livestock dealers & amassed 600 acres of land between US 40 & E Broad St (SR 16). The town had a train station on the Columbus, Sandusky, & Hocking Railroad. Abraham & Emily were buried with relatives in Green Lawn Cemetery. Description: The town was first spotted on the 1856 county map & never had much of a chance at keeping its own identity. It had a school & Congregational church, but was too close to downtown Columbus & was annexed by the 1870s. Eastwood Avenue itself is a remnant of the former town. Its narrow construction is reminiscent of average roads in the mid 1800s. Description: Although the town of Flint is still a populated area, Flint Station is considered to be a ghost town & is on the state’s historical populated places list. The town had stations on the Big Four Railroad & the Sandusky & Columbus Short Line Railroad. Many early residents were buried in Flint Cemetery on the west side of Flint Rd. The Market at Flint Station is a lounge & the building that houses it was constructed in 1890. Description: Irish immigrant Thomas Armstrong (1769 – 1856) sold some lots which founded Hibernia in the 1840s. The town was never platted or incorporated but had a school, hotel, grocery store, wagon shop, & blacksmith shop. Thomas was buried with relatives in Carlisle Cemetery. It predates the town by a few decades. Description: Highway was on the Toledo & Ohio Central Railroad between Columbus & Hilliard’s northern side. Description: There were two attempts to lay out a town called Lafayetteville in Franklin County. The first was made in 1826 by Lorin Hills & Lester Humphrey. The platted lots either never sold or didn’t sell enough to make any difference in the area. Description: In 1832 War Of 1812 veteran Job Postle (1781 – 1858) & Elizabeth (Webb) Postle (1780 – 1850) platted another town called Lafayetteville with the same results as the first. Job & Elizabeth were buried with relatives in Postle Cemetery. Description: Part of The Ohio State University campus is the site of a ghost town. John Lisle & Rachel (Irwin) Lisle moved to Ohio from Kentucky in 1798 & settled in Clinton Township a couple of years later. They had 8 children in total & a large farm. The town also had a school on the east side of Kenny Rd north of the GPS coordinates. John & Rachel were buried with relatives in Union Cemetery on Olentangy River Rd. Description: Thomas Backus (1785 – 1825) & Tempera (Lord) Backus (1786 – 1864) made the journey to Ohio from Connecticut & mills next to the Scioto River in 1812 – 1813. They had 5 children & later moved to Marion County where Thomas served as a prosecuting attorney. The mills were sold a few times & were called Marble Cliff by the 1850s. The town also had stone & slate quarries, a general store, boot & shoe shop, Methodist Church, & a train station on the Pittsburg, Cincinnati, & St. Louis Railroad. Although the mills themselves are long gone, Marble Cliff became a town in 1890 & was incorporated in 1901. Thomas & Tempera were buried with many relatives in Woodlawn Cemetery on Central Ave in Toledo, Lucas County. Description: It’s unclear when Marburn was considered to be a town & when it fell off of maps, but it was likely sometime in the mid to late 1900s as there’s no mention of the place in the old history books. Marburn School opened in 1960 & closed in 1977. A subdivision named Marburn sits south of the school. Description: This small farming town was along the B & O Railroad & was founded by Charles C. Miller (1854 – 1939) who owned 185 acres of land in the vicinity. He was buried with relatives in Grove City Cemetery. Description: It was founded by a branch of the Mosel family in the county. Description: Francis Clymer (1798 – 1878) from Maryland & Susannah (Harris) Clymer from Ohio platted Mount Pleasant on their farm in 1835, but the town never grew any & was quickly abandoned. The area was subsequently annexed into Columbus. Francis & Susannah had 6 children & moved to Hancock County, becoming some of the earliest pioneering settlers there. Francis & Susannah were buried with relatives in Clymer Cemetery next to Pleasant View Church on Co Rd 37 in Union Township, Hancock County. Description: Oregon was originally called Middletown. It was platted by Issac Decker in 1817 but never grew much. The town name changed between 1830 & 1831. Issac & his wife, name unknown as of yet, operated a tavern at their cabin for 30 years & worked together in the shoemaker trade. The shoe services were offered in exchange for getting some of their farmland cleared for crops & livestock. They were buried with relatives in Decker Cemetery. It was stated in the 1880 History of Franklin And Pickaway Counties that Oregon was “now almost vanished” & it didn’t make it onto the 1883 Franklin County map. Descripton: W. H. Porter & Eve Porter (1774 – 1840) arrived in the area in the early 1800s & the town was named after their family. Joseph Dickey (1796 – 1845) & Lovina (Taggart) Dickey (1801 – 1854) moved to the town from Washington County, New York in 1838. Joseph was a blacksmith & his shop turned into a meeting places for local discussions on politics & religion, as well as less pressing matters. Portersburg also had a school & saw mill. The town name later changed Pin Hook & can be found by that name in the 1872 county atlas, but it wasn’t listed on the 1883 map. Many members of the Porter & Dickey families were buried in Blendon Central Cemetery on the north side of Dempsey Rd. Description: The town was founded by German immigrants Johann Georg Renner (1802 – 1882) & Anna Renner (1804 – 1878) who had a 230 acre farm & several children. Saint James Lutheran Church congregation began in 1847. Foundation stones from the original log building are on the northwest corner of the cemetery. The current structure was built in 1872. There was also a school next to the church. Johann & Anna were buried with relatives & other German pioneers from the area in the cemetery. The older headstones were inscribed in German. That was the dominant language for the church until the 1890s when many of the early settlers grandchildren only spoke English. Description: Farming was Ridpath’s main industry. It had a school, wagon shop, & a tile works in the 1870s. The town was never platted or incorporated. Description: Scioto Station was on the Big Four Railroad. A modern housing complex bearing the same name is on the east side of McKinley Ave south of the GPS coordinates. Description: Simon Shattuck (1793 – 1875) from Massachusetts operated a general store in the southwest corner of the intersection & sold some lots on his farm for improvement around 1850. About half a dozen families moved to the area & took up residence there. The town was listed on the 1856 county map but didn’t make it into the 1872 county atlas. Description: The post office was along Slate Run on the west side of Columbus. Description: The town was founded by David Smiley (1786 – 1861) & Elizabeth (Latimer) Smiley (1791 – 1849). David was a justice of the peace & a farmer. The Smileys ran a general store, hotel, the post office, & had a few children. There was also a school just west of the GPS coordinates. David & Elizabeth were buried with relatives in Wesley Chapel Cemetery. Their son David married Sarah Deems, a daughter of Thomas & Mary Deems. The present structure of Wesley Chapel was built in 1891. Description: Michael Sullivant (1807 – 1879) was a son of the founders of Columbus (Franklinton) Lucas Sullivant (1765 – 1823) & Sarah (Starling) Sullivant (1781 – 1814). In the mid-1800s Michael platted much of what would later become the west side of Columbus. He was buried with relatives in Green Lawn Cemetery. Description: Waldeck only appeared on the 1856 county map & the origin of its name is unknown. Description: Prior to the arrival of the Central Ohio Lunatic (Insane) Asylum, wheat was grown in a great abundance on the west side of Columbus. Since the hospital facility was demolished in the 1990s, the Wheatland Farm organization at 116 N Wheatland Ave has been working on turning a portion of the former asylum back into viable crop land. Description: The town was named after a natural water spring near Alum Creek. It was on land owned by Daniel Turney (1772 – 1856) & Susannah (Ridenour) Turney (1783 – 1857). They were buried with relatives in Riverside Cemetery south of town on the east side of Sunbury Rd. Description: Wonderland was founded in the 1920s as a summer resort community. It was much like what was seen in Dirty Dancing with the exception of having a lake. Some of the houses were winterized & lived in year round. The property was sold to Port Columbus International Airport in the 1980s & the remaining residents were forced out. Wonderland Community Church was built in 1941 & was saved by its congregation. Description: Zuber was the name of the post office at Borrors Corners as its original town name was fading away.